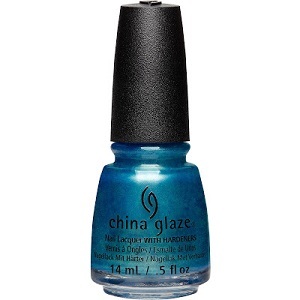 China Glaze Nail Polish, Joy To The Waves, 1493, .50 fl. oz. Ocean blue nail color with heavy yellow shimmer.